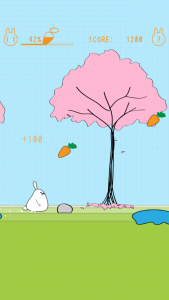 A staged platformer, Doodle Rabbit transports the player to the creative world of Doodle Art. Please download presskit(screenshots, icon, logo, cover art and press release document in a zip file [2.2MB]). 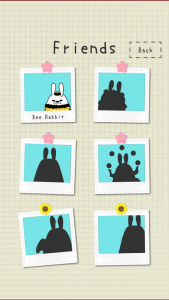 Iyoda released Doodle Rabbit on January 15, 2016, on the App Store. 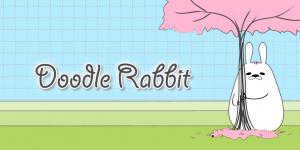 One of the hardest high-speed, auto-running platform games, Doodle Rabbit follows a jumping, somersaulting rabbit who sets out to meet his friend in an epic adventure packed with cute “kawaii” doodles. The controls are simple: just tap the screen to jump and avoid obstacles, such as rocks, ponds, and spikes. 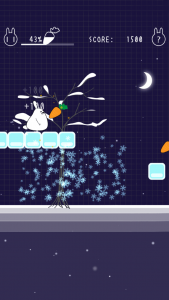 With a total of 80 levels over four stages (spring, summer, fall, and winter), the obstacles change with the season, keeping the gameplay fresh and interesting. 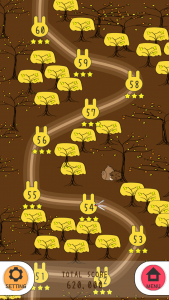 Each level lasts between 20 and 50 seconds and can be enjoyed casually in short periods of free time. 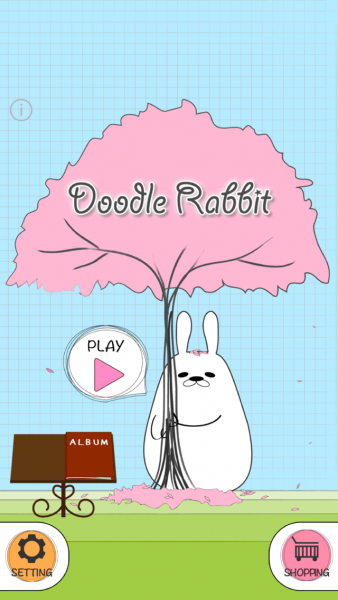 Doodle Rabbit is available to players all over the world in 12 different languages. 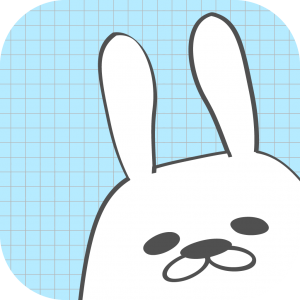 Doodle Rabbit is an ultra-challenging, auto-running jump game featuring original “kawaii” illustrations by Sayo Iida, a Japanese university student conducting research on popular illustrations among girls studying at Japanese schools and universities. The controls are simple: just tap the screen to jump and avoid the various obstacles which appear on each level and stage. 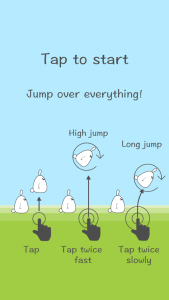 Tap twice to pull off exhilarating somersault jumps, quickly to perform a high jump and slowly to perform a long jump and traverse holes and other wider objects. 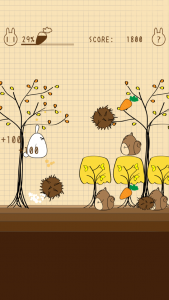 The game has 80 levels in total, with 20 levels at each stage – spring, summer, fall, and winter – each with its own unique obstacles and animals. But don’t be fooled by the cute animals: some of them are not quite what they seem. For example, watch out for the flying bird attacks and the pesky squirrels that crash into you with spiky chestnuts. “In Japan, most people are into escape-the-room games and charge-based social games, but there aren’t many action games that you can get really into for free. A lot of illustrators are popular among men, but there are also lots of girls who like action games. 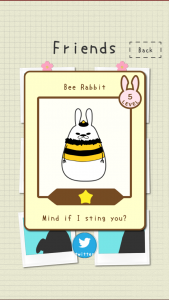 So we decided to create an ultra-challenging action game with cute visuals,” commented Illustrator Sayo Iida. 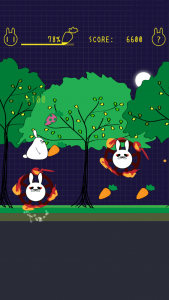 Featuring a host of “kawaii” characters, Doodle Rabbit is an ultra-challenging auto-running jump action game that is fun to play during breaks and other short periods of free time. As an additional feature, the friends you meet during your adventure can be viewed from the menu screen via the Album button. You can even view your friends’ pictures and post your own via Twitter!